Food is the most important aspect of our lives, but storing foods precisely is another important thing. 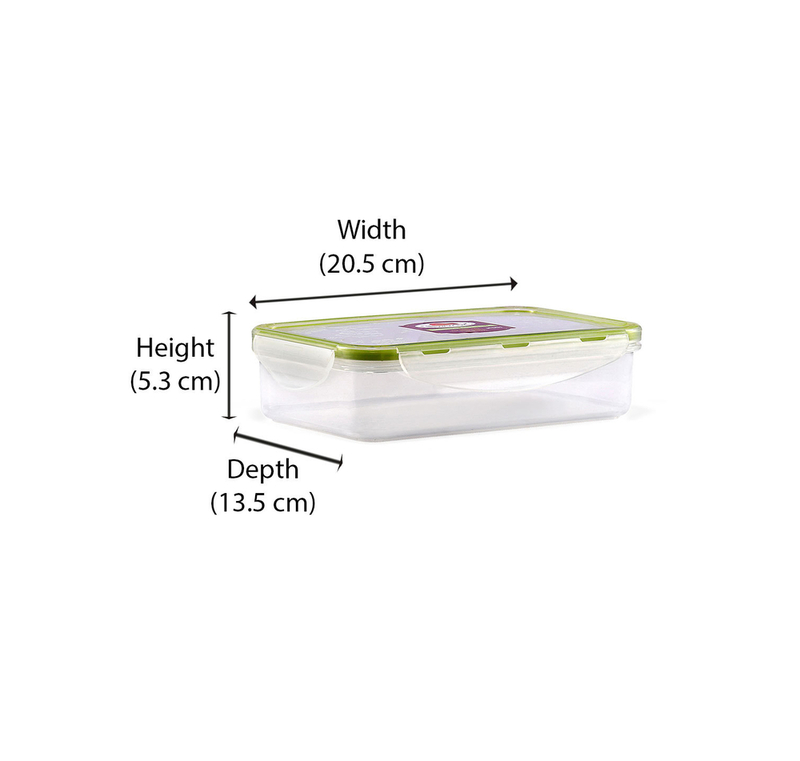 Keep your food safe and fresh in this Rectangular Container. The transparency of the container lets you see what's inside. The storage capacity of this container fits perfect with our everyday food essentials. These can be used to store anything from fruits to fresh vegetables or can be carried as a tiffin box while travelling. Made with fine quality plastic, this is non-toxic and safe for everyday use. Upgrade your kitchen apparatus with some of these amazing @home kitchen collections.